In this post, I will take a look at the future of face decks, namely Pirate Warrior and Aggro Shaman. 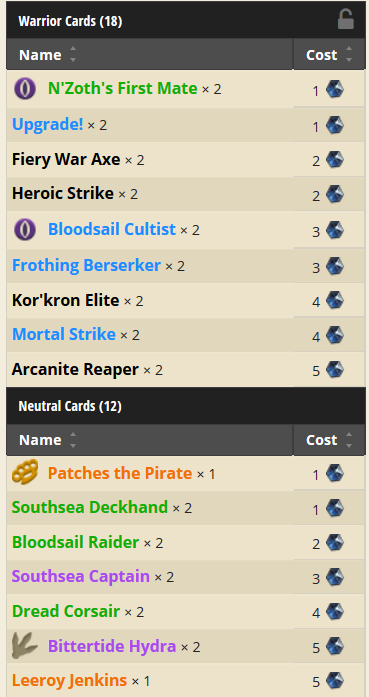 Aggro decks in general receive very little early game in the expansion, so many of them will be forced to use the Pirate package, which puts them all in the same boat when it comes to pirate hate. There is a new Pirate hate card in town! 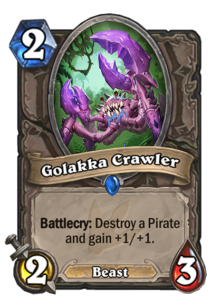 Golakka Crawler is a neutral 2-mana 2/3 Beast with a battlecry to destroy a pirate and gain +1/+1. I’m not really a fan of these very specific hate cards, but I have to admit that this is one powerful card, and with pirates being the go-to solution for face decks I expect it to see play – and that’s a lot to say about a specific hate card that usually end up seeing no play in the end. If the crab provides to cause too much trouble – which it shouldn’t, as you cannot always find it early – some aggro decks might venture to seek alternatives to Pirates, but those are hard to find. 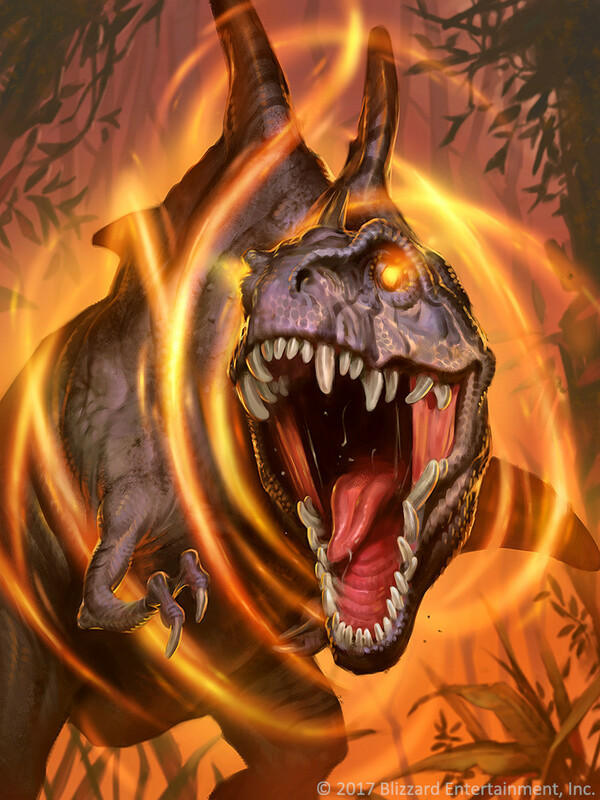 If this in turn slows down the meta, options become more readily available in the form of Water package (Finja and his murloc friends Bluegill Warrior and Murloc Warleader) and that could result in slightly slower, fast midrange style aggressive decks that start pressuring a couple of turns later. Weapon haters are also receiving a new tool. 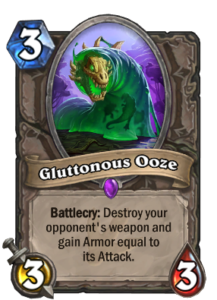 Gluttonous Ooze is a neutral 3-mana 3/3 with a battlecry to destroy your opponent’s weapon and gain armor equal to its attack. 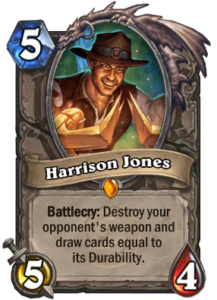 There is now a wide variety of weapon destruction available: Acidic Swamp Ooze if you really care about mana and stats for non-weapon matchups, Gluttonous Ooze as the most powerful survival tool that gives you armor, and Harrison Jones if you’re fine doing things later and at a higher cost in order to draw cards. Oozing an Arcanite Reaper with the new Ooze for five healing does not sound bad at all. Well, it does, for the Pirate Warrior. Golakka Crawler and Gluttonous Ooze are tech cards. Their popularity depends on the overall number of targets and how much they weaken their users’ decks in other matchups. 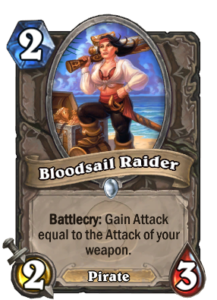 As such, they will come and go from the meta, possibly limiting the overall numbers of Pirate Warriors. It all depends on the strength of pirates and whether other top decks have enough space for such tech cards. However, there is also more permanent hostility in the new meta. Blizzard has chosen to print a ton of taunts in the new expansion, many of them with the new defensive mechanic that they have more attack on the opponent’s turn: limiting their attack strength, but also making them able to destroy attacking units. 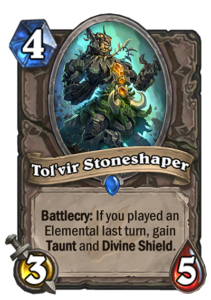 There is especially the new neutral early-game package of Tar Creeper and Tol’Vir Stoneshaper, although including the Stoneshaper might require more than just splashing some Elementals into your deck, so perhaps it will not be that common. 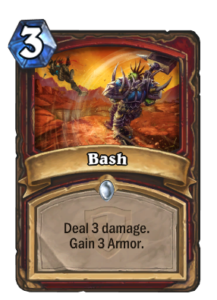 Furthermore, the Warrior quest is all about taunts, so any slower Warrior decks will go really taunt-heavy. Control Warrior already eats pirates for breakfast, so that does not really change, but if the quest helps Control Warrior improve its bad matchups, it could find more room in the new meta and apply pressure on the pirates. Pirate Warrior is not losing much in the rotation. 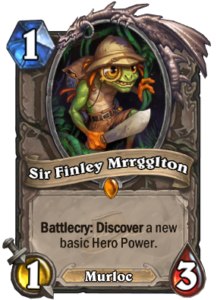 Sure, Sir Finley Mrrgglton and Bash are rotating out, but only one of those was a staple anyway and Bash was more of a tech card for the mirror match. 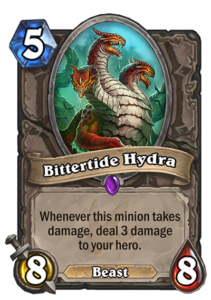 This list assumes a more taunt-heavy meta, with Bittertide Hydra able to help you push through. If its downside proves to be too much to bear, Naga Corsair remains an option. Naga Corsair could even take the place of Kor’kron Elite in a very taunt-heavy meta, if that small buff to your weapon helps you push through the taunts with your weapon, whereas Kor’kron just dies to a 3/5 taunt. 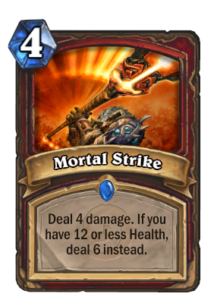 Double Mortal Strike is also something you want to run in a taunt-heavy meta with not much healing in it so that you are able to push in that final bit of damage despite taunts. 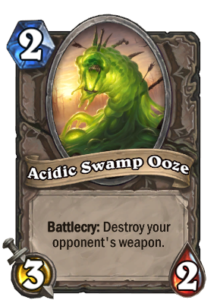 Arcanite Reaper remains solid despite the new Ooze: people were already running a lot of weapon hate in the previous meta, but they often could not find the card in time, so while the new Ooze is even better against Pirate Warrior, it will not affect the weapons run in the deck. Unlike Pirate Warrior, Aggro Shaman is losing a lot in the rotation. 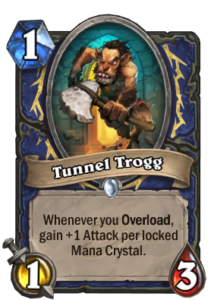 Tunnel Trogg, gone. 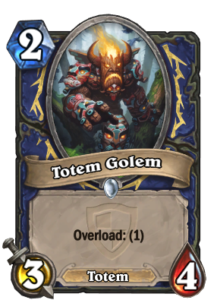 Totem Golem, gone. 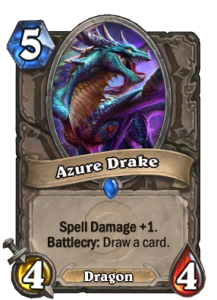 Azure Drake, gone. Sir Finley Mrrgglton, gone. That is a whole lot of power leaving the archetype, including its most powerful early turns and most of its card draw! These losses will force the Shaman to go deeper into pirates. 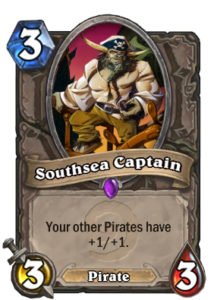 Pirates had already been splashed into Aggro Shaman for all those one-drops and Patches, but with no other early game left, there is no reason not to add in Bloodsail Raider and Southsea Captain as well. Perhaps there is an alternative line to pursue with Unbound Elemental and either Golakka Crawler or Faerie Dragon, but we’ll have to see about the meta first. 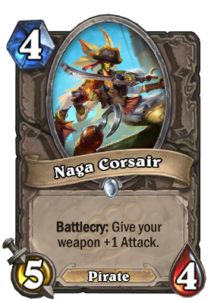 As Aggro Shaman has way fewer weapons, Naga Corsair does not seem as useful here. 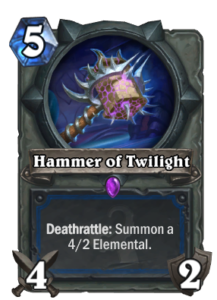 There is a potential development into running Doomhammer and Naga Corsair, but so far Hammer of Twilight has solidified its spot, because it is less vulnerable to weapon removal. 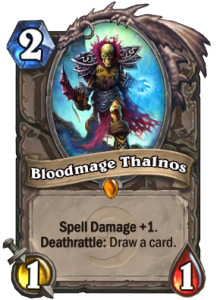 Bloodmage Thalnos was occasionally seen alongside the Azure Drakes, and I expect it to find a permanent spot now in order to provide a bit of cycle and spell damage that can be used to finish off an opponent sitting behind a taunt wall. 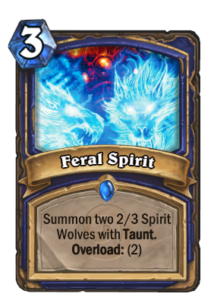 Feral Spirit is a card I wonder about a little now with Tunnel Trogg gone, especially when it faces off against Tar Creeper. 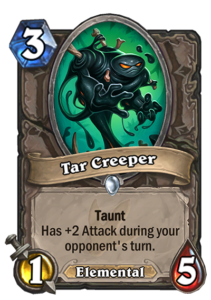 Feral Spirits will die if they attack into the Tar Creeper, but the Tar Creeper cannot kill them if it attacks. Stalemates are bad for the aggro deck though, so Aggro Shaman is the one losing in this exchange. There does not seem to be good alternatives though. 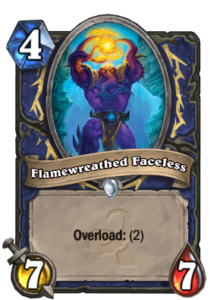 Aggro Shaman can fit in a lot of power though, because it can run both Flamewreathed Faceless and Bittertide Hydra. Those fellows can punch through some really big taunts. Aggro will always find a way. Here are some ideas what it can look like after the rotation, but whatever the meta is, there will be some combination of cards to untangle it.